Welcome, Ann! You’ve stumbled onto one of my secret addictions – I love Tetris! I can’t wait to see your finished afghan. And I am also seeing Granny Squares everywhere now! It’s amazing how common they are, and I guess we just never noticed them before. That’s so cute! I’m going to add that to my Iwannadoit list. YAYAYAYA TETRIS, oh how addictive!! Can’t wait to see the finished afghan! What a cute idea! Can’t wait to see it when it is done. 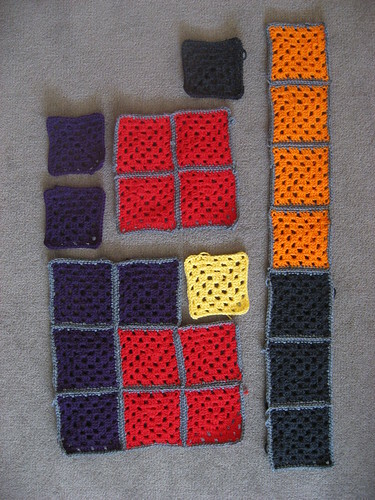 I love that game…..a neat afghan for a tetris addict! And I totally remember that afghan on the Roseanne couch!